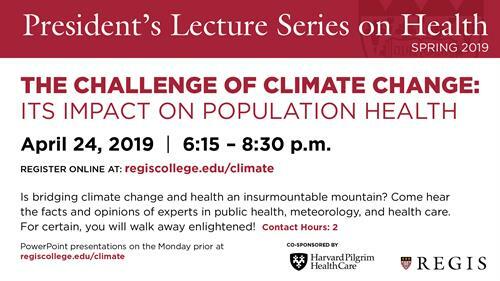 Given the current changes in policy and industry regulations, is bridging climate change and health a seemingly insurmountable mountain? Come get a better sense of the current challenges we face and how Massachusetts, as well as the country continues to push forward. Hear from experts in public health, meteorology, and health care. For certain, you will walk away enlightened!